21.76mm x 17.87mm / 0.857in. x 0.704in. 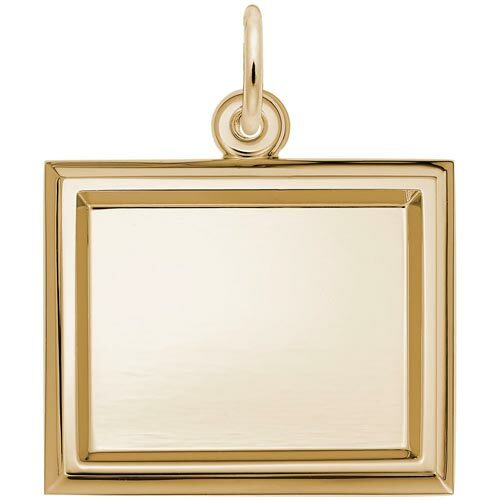 Small Horizontal Rectangle PhotoArt® Charm by Rembrandt Charms. The width is 3/4 of an inch. Add a simple family photo or baby footprints to the Small Horizontal Rectangle PhotoArt® Charm. This charm can be engraved on the back.